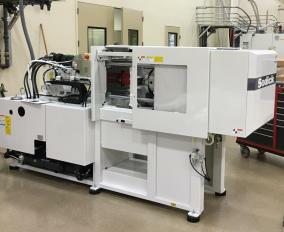 If your product design is in injection molding you’ll find that plastic offers many advantages. It also offers a few legendary challenges, particularly when designing for strength and cosmetic appeal. This article reviews the most important of those challenges, as well as solutions to meet them. Work with your HTI Plastics designer to determine which issues are relevant to your part, as well as identifying ways to overcome the issues to meet your part’s specific requirements. Rule number one for plastic part design is uniform wall thickness. Any design with wall sections relatively thick compared to the rest of a part is subject to weakness. These weaknesses can result in undesirable characteristics, such as higher stress areas, uneven shrinkage, voids, and sink marks. Sink marks are sunken areas in the plastic surface, often the result of excessive thickness of ribs or bosses. Ribs, bosses, and other features should be no thicker than 70% of nominal wall thickness. In many situations, sink marks can be difficult to avoid completely. Good designs can make them less noticeable, for example by including a pattern or texture in the design. 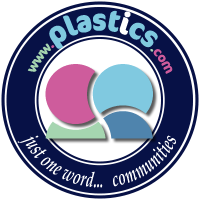 For any plastic part featuring corners, strong part design is heavily dependent upon radius. Sharp corners create high stress areas; when a plastic part breaks, the break often occurs at or near a sharp corner. The radius of a corner generally should be designed as large as possible without inadvertently creating a thick wall section. Gussets or ribs could be the answer for reinforcing a part. Rather than adding a thick mass of plastic for strength, add ribs or gussets following the 70% rule of thickness, as described above. This is often the ideal solution for supporting vertical walls, as well as bosses for holes. The cosmetic appearance of a part is often a significant factor in quality perception. This can run counter to what actually makes a quality part. However, cosmetics must be addressed in the overall design of a product’s external components, even for parts considered to be strictly functional. On the other hand, for many plastic parts, cosmetic appearance is important to their intended purpose, and it is inherently factored in as a primary design feature. For a shiny or glossy appearance, the mold maker will polish the mold core or cavity to obtain the desired smoothness in surface look and texture. If the part requires a dull or matte finish, a reduced polish might be employed. In some cases, the actual operation used to create the core or cavity produces a matte surface characteristic. In many cases, when sink marks or other cosmetic imperfections prove difficult to avoid, adding a texture or matte finish can conceal or obscure them effectively. For plastic parts requiring a special pattern or look, the mold maker creates a mold cavity to give the part that particular appearance: wood or leather grain, or hundreds of other pre-determined patterns. The molder/builder can assist in identifying the exact pattern needed. The gate location, where plastic is introduced into the mold cavity, must be carefully considered in the design if visibility of residual gate vestige is an issue for the end user. Gates can be an eyesore on an otherwise cosmetically pleasing part. There are multiple gate styles, some of which leave larger scarring than others. In addition to cosmetic impact, gate location also can be a major factor in the strength of the part. A combination of these factors could present a potentially highly-challenging design. In such cases, it is important to work closely with the molder to identify a strategic balance between part strength and cosmetic appearance. Nearly all parts require ejector pins, or some other means of removing a part from the mold. Ejector pins always leave a mark. This can be reduced significantly by ensuring pins are flush with the mold’s interior wall. Ejector pin marks are impossible to hide completely; however, some of the same tactics employed for concealing other marks will work here as well, such as the use of textures or patterns. In some situations, it might be possible to locate ejector pins strategically in the mold, so resulting marks appear only on an interior or less visible area of the part. Mold draft, or taper, is required for a part to eject cleanly from a mold. Specified in degrees or in UOM/UOM, the ideal minimum amount of taper is generally 1 to 2 degrees per side, in perpendicular relation to the parting line of the mold halves. However, ideal mold draft depends on material properties, surface texture, complexity of design, and other factors specific to the part. For instance, a rough surface normally requires a somewhat larger mold draft than a smooth one. In rare instances, a taper smaller than the normal 1 to 2 degrees can be used; however, this is rare and usually not ideal. Mold draft helps prevent scratching when the part is being removed from the mold, particularly when working with textured surfaces. HTI Plastics is dedicated to manufacturing high quality injection molded products, providing timely deliveries and creating an atmosphere of continuous improvements where all employees strive to keep both internal and external customers satisfied. Useful cost-effective animal care device and packaging soluations help you keep pace with the rapidly changing animal health market. HTI Plastics offers a wide array of consumer goods and proprietary products. HTI Plastics is an FDA registered, ISO 9001:2008 and ISO 13485:2003 certified contract manufacturer offering a wide variety of consumer goods.